Lohéac, France – Wednesday 17 July, 2013; World Rally Championship driver Kris Meeke will make his RallycrossRX debut with Albatec Racing in the seventh round of the FIA European Rallycross Championship at Lohéac next month (August 31 & September 1). The Dungannon driver will partner Albatec Racing Team Principal Andy Scott at the wheel of a two litre, 16v Peugeot 208, Sébastien Loeb and Petter Solberg will also line out for what looks to be the best attended event on the RallycrossRX schedule. Cutting short his wedding celebrations to fly into Lohéac to conduct his first test of the 208 Supercar today, the 2009 IRC Champion quickly acclimatised to the four-wheel-drive 600bhp French powerhouse and was “blown-away” with its performance on only his first run at the French track. The former Queen's University student, who obtained a degree in Mechanical Engineering, started his career as a Computer Aided Designer at M-Sport, and took his first step into rallying in 2000 when he won Peugeot’s competition for new rally drivers. Leading his debut event, the Bulldog Rally and taking his first victory on the third round of the 2001 Peugeot Super 106 Cup, the Swansea Bay Festival National Rally, Meeke quickly carved out a reputation amongst the rally fraternity and in 2002 was taken under the wing of the late, great Colin McRae. Sealing the British Junior Championship in only his second season, together with third in the British S1600 class, Meeke clinched both the British Junior Championship and the British S1600 crowns the following year, and made a sensational Junior World Rally Championship (JWRC) debut, setting the fastest time on two stages before suffering mechanical issues. Four IRC wins at the wheel of his Peugeot UK-backed 207 S2000 allowed him to clinch the 2009 title at the penultimate round, with a fifth victory on Rally Scotland rounding out his season. Away from the stages, Meeke also starred in the Peugeot 207 adverts, with the tagline "He's Meeke, but he's not mild", as well as appearing on BBC Top Gear, when he beat English former skeleton racer Amy Williams MBE in a race down the Lillehammer Olympic Bobsleigh and Luge Track. Meeke, co-driven by Top Gear presenter James May in a Mini racing on a downhill snow track, with Williams alongside on the bobsleigh track, narrowly beat the Olympic gold medallist by just over a second. Meeke is not entirely new to rallycross either, having raced an RX150 buggy to success at Croft in 2008, and can also list the Baja 1000 Desert Race and the Irish Kart Grand Prix among his achievements. 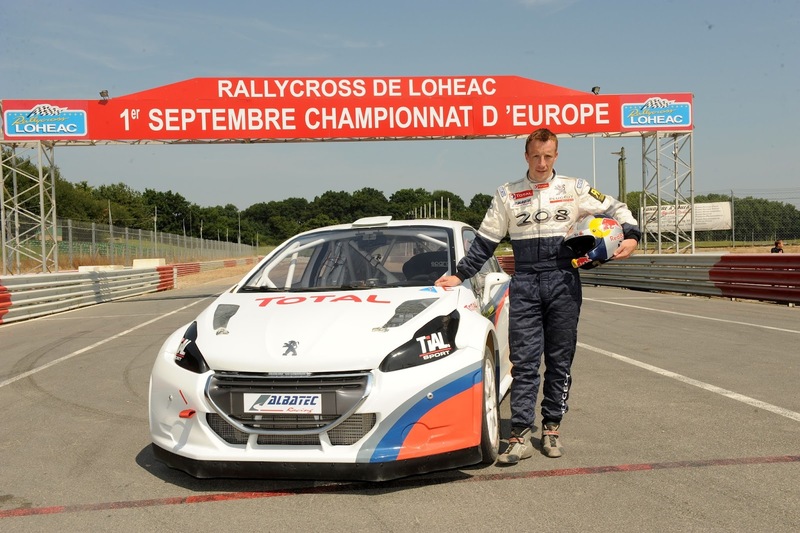 The Lohéac event however will mark his first competitive appearance in a rallycross supercar. The newest car on the fiercely competitive entry list has performed well in the first half of the season, taking heat victory and posting competitive lap times at the hands of former British Rallycross Vice-Champion Scott. As the fledgling team continues its ongoing development of the car, working with its technical partners Oreca, Soben and Sadev, expectations are high of a good result in France. Later this month, Meeke will continue his role as senior test driver for Peugeot and Citroen, and contest Rally Finland ahead of his appearance at Albatec Racing’s home event of Lohéac in front of an estimated 60,000 spectators. Joining other WRC drivers Sebastien Loeb and Petter Solberg, Meeke will go head-to-head with the cream of European rallycross stars bidding for victory. “We met Kris when he came to Finland helping Andrew Coley with the TV commentary and I was pondering what would be the destiny of the second car. So we had some initial discussions with him and there was obviously a will and a determination by him to drive at some point. “I’m privileged and honoured that a driver of his calibre and reputation has agreed to join us today, I’m sure his experience will help with the development of the car while naturally allowing him some crucial track time in preparation of his RallycrossRX debut with us in Lohéac. “I’m blown away, I don’t think I’ve ever driven a supercar with this amount of horsepower, it’s just incredible. There are so many things to learn, the tyres are different to what I use in rally, they’re so much softer to generate traction from a standing start but with not as much longitudinal grip as we have in rallies. And to have all that horsepower and try to manage it is just, well incredible. “I have experience of the new 208 T16 rally car, and there are obviously similar comparisons, but widely different in the same respect. 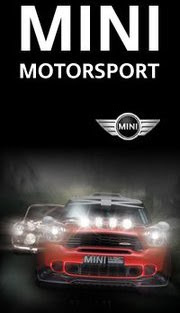 With over 2.5 times the power than I’m used to, 600bhp is the biggest factor. It’s new to me of course, with so much to learn here, a new track, the conditions, the car, and the engineers, but if you give any driver 600bhp, a steering wheel and pedals they’re going to jump at it. “Firstly, I’m very happy with Kris as a person, he arrived yesterday and immediately we all had a good feeling about him, he’s a good guy, very open, and easy to work with. He has a lot of respect for Albatec, he believes that the tools we will provide him are really good, and it’s very interesting to work with someone with his spirit. It’s a bit too early to give a precise answer about the test, but when I spoke to him after his first couple of laps, he said immediately over the radio, how happy he was, and how good it felt. The communication is really good with the team and for sure having different people testing the car is always good to help with the development.